^ 1.0 1.1 Lau, Chris. Why Cortana Assistant Can Help Microsoft in the Smartphone Market. The Street. 2014-03-18 [2014-06-19]. （原始内容存档于2014-09-08）. ^ Microsoft Research. Anticipating More from Cortana. Microsoft Research blogs. 2014-04-17. （原始内容存档于2016-03-03）. ^ Gary Marshall. Cortana: everything you need to know about Microsoft's Siri rival. TechRadar. [2019-02-19]. （原始内容存档于2018-07-29）. ^ Julianne Pepitone. Why Microsoft Named Its Siri Rival 'Cortana' After a 'Halo' Character. NBC News. [2019-02-19]. （原始内容存档于2018-06-13）. ^ Marathon's Story... Facts and puzzling things about... Cortana. bungie.org. [2019-02-19]. （原始内容存档于2007-11-29）. ^ Blair, Nancy. Who is Cortana? It's Halo's Jen Taylor. USA Today. 2014-04-03 [2019-02-19]. （原始内容存档于2017-09-15）. ^ Warren, Tom. The story of Cortana, Microsoft's Siri killer.. The Verge. 2014-04-02 [2019-02-19]. （原始内容存档于2015-12-04）. ^ Cortana: a digital assistant with personality and smarts. community.windows.com. [2018-11-16]. （原始内容存档于2018-11-17）. ^ 10.0 10.1 Foley, Mary Jo. Microsoft's 'Cortana' alternative to Siri makes a video debut. ZDNet. 2014-03-04 [2014-06-19]. （原始内容存档于2014-07-04）. ^ 子非. 就这么酷炫，WP8.1 Cortana中文版发布实录. IT之家. 2014-07-30. （原始内容存档于2015-03-19）. ^ 马荣. WP8.1 GDR1预览版发布 中文Cortana来了. 中关村在线. 2014-08-05. （原始内容存档于2015-07-18）. ^ 微软小娜 – 全球首款跨平台智能个人助理. [2019-02-20]. （原始内容存档于2018-12-25）. ^ Sawers, Paul. Microsoft announces Phone Companion app for Windows 10 and teases Cortana for Android and iOS.. VentureBeat. 2015-05-26 [2019-02-19]. （原始内容存档于2018-10-24）. ^ 书聿. 微软语音助手Cortana登陆iOS和Android. 新浪科技. 2015-12-10. （原始内容存档于2015-12-14）. ^ Warren, Tom. Xbox One dashboard update includes a huge new design and Cortana.. The Verge. 2015-06-15 [2019-02-19]. （原始内容存档于2017-07-08）. ^ 李明. 亚马逊Alexa和微软Cortana完成整合 挑战苹果Siri. 新浪科技. 2018-08-15. （原始内容存档于2018-12-02）. ^ 小白. 再见了：Windows Phone 8.1的Cortana即将停止在线服务. IT之家. 2018-12-24. ^ study875, cnBeta.COM. Windows 10 Build 18317发布：分离Cortana和搜索功能. cnBeta. 2019-01-17. （原始内容存档于2019-02-03）. ^ Griffiths, Sarah. Microsoft joins the world of wearables: New Band monitors your fitness levels and sleep quality for $199. Daily Mail. 2014-10-30 [2019-02-19]. （原始内容存档于2017-03-01）. ^ Martin, Julia. Microsoft brings Cortana to wrists with $199 Microsoft Band. Inferse. 2014-10-30 [2019-02-19]. （原始内容存档于2019-02-03）. ^ Whitney, Lance. Microsoft's Cortana crosses over to iOS and Android. Due out this year for Android and iOS, the voice assistant will bring some competition to Apple's Siri and the Google Now app.. CNet. 2015-05-26 [2019-02-19]. （原始内容存档于2018-10-02）. ^ Shuman, Andrew. Hey Cortana, open Alexa: Microsoft and Amazon’s first-of-its-kind collaboration. Microsoft Blogs. 2017-08-30 [2017-08-30]. （原始内容存档于2017-08-30）. ^ Nichols, Shaun. Microsoft's naughty Cortana NOT ALLOWED NEAR CHILDREN. The Register. 2014-04-25 [2019-02-19]. （原始内容存档于2018-12-09）. ^ Hachman, Mark. Microsoft's Edge web browser roadmap includes more Cortana scenarios, extensions.. PC World. 2015-05-05 [2019-02-19]. （原始内容存档于2017-02-27）. ^ Rama, Gladys. Microsoft Debuts 'Project GigJam' at WPC 2015.. PC Magazine. 2015-07-13 [2019-02-19]. （原始内容存档于2019-02-04）. ^ 周硕. 微软展示GigJam项目：不仅仅是屏幕分享工具. 腾讯数码. 2015-07-13. ^ Warren, Tom. Microsoft experimenting with Cortana in your car. The Verge. 2015-09-16 [2019-02-19]. （原始内容存档于2019-02-13）. It's clear that Microsoft's car efforts have progressed over the past year, but the company still isn't ready to launch its own Windows 10 integration. ^ Hernandez, Pedro. Microsoft Previews a Smarter Skype With Bots, Cortana Integration.. eWeek. 2016-03-31. ^ de Looper, Christian. Skype now has the smarts to book your trip, order pizza, and more with Cortana.. Yahoo! Finance. 2016-03-30 [2019-02-19]. （原始内容存档于2018-11-26）. ^ Surur, Suril. Cortana is now 2 years old.. MSPowerUser. 2016-04-02 [2019-02-19]. （原始内容存档于2016-05-06）. ^ Torres, JC. Cloud-based Windows 10 Action Center will also be on Android.. SlashGear. 2016-04-01 [2019-02-19]. （原始内容存档于2017-08-08）. ^ Chavez, Chris. Windows 10 Anniversary Update not only mirrors Android notifications, but lets you interact with them too [VIDEO].. Phandroid. 2016-04-01 [2019-02-19]. （原始内容存档于2019-01-23）. ^ Amadeo, Ron. The Windows 10 Anniversary Update can mirror Android notifications. Get Android notifications on your desktop. The catch: You have to install Cortana. Ars Technica. 2016-04-02 [2019-02-19]. （原始内容存档于2017-12-02）. ^ Enroll in the Calendar.help preview and let Cortana schedule your meetings - Office Blogs. Office Blogs. 2016-12-13 [2018-04-01]. （原始内容存档于2018-03-31） （美国英语）. ^ Sams, Brad. 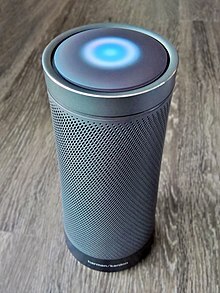 Harman Kardon’s Cortana Speaker Revealed. Thurrott. BWW Media Group. 2017-05-07 [2017-05-08]. （原始内容存档于2017-05-21）. ^ Microsoft. My interests and Cortana. Windows Phone. [2014-06-19]. （原始内容存档于2014-07-07）. ^ Microsoft. Remind me, Cortana. [2014-06-19]. （原始内容存档于2014-07-07）. ^ Warren, Tom. The story of Cortana, Microsoft's Siri killer. The Verge. 2014-04-02 [2014-06-19]. （原始内容存档于2015-12-04）. ^ Hachman, Mark. Microsoft's Cortana digital assistant guards user privacy with 'Notebook'. PCWorld. 2014-02-21 [2014-06-16]. （原始内容存档于2014-03-28）. ^ 43.0 43.1 Warren, Tom. This is Cortana, Microsoft's answer to Siri. The Verge. 2014-03-03 [2014-06-16]. （原始内容存档于2014-11-20）. ^ Guim, Mark. How to set a person-based reminder with Cortana.. Windows Central (Mobile Nations). 2014-04-26 [2019-02-19]. （原始内容存档于2019-02-03）. ^ Sams, Brad. Windows 10: Cortana now syncs reminders.. Neowin. 2015-02-13 [2019-02-19]. （原始内容存档于2016-07-16）. ^ Burgess, Brian. Use Cortana on Windows Phone 8.1 to Identify Songs. GroovyPost. 2014-04-19 [2019-02-19]. （原始内容存档于2019-02-03）. ^ Rubino, Daniel. Hands on with 'Hey Cortana' and the Lumia 930 Denim update. Windows Central. 2015-01-12 [2019-02-19]. （原始内容存档于2019-02-03）. ^ Newman, Jared. Windows Phone's Cortana taps Foursquare to suggest nearby places of interest. PCWorld. 2014-07-29 [2019-02-19]. （原始内容存档于2017-05-12）. ^ Crist, Ry. The new Lifx Windows 10 app lets Cortana toggle your lights. CNET. 2015-10-15 [2019-02-19]. （原始内容存档于2018-10-17）. ^ Cortana now taps into Foursquare to give you recommendations for lunch. engadget.com. [2016-10-08]. （原始内容存档于2016-10-09）. ^ Hey Cortana.... Wunderlist Blog. 2016-11-17 [2017-05-10]. （原始内容存档于2017-11-16）. ^ Sieber, Tina. Here's how to make the most of Cortana, the Windows 10 digital assistant. Digital Trends. 2015-01-28 [2015-01-29]. （原始内容存档于2015-01-31）. ^ 玄隐. Cortana微软小娜多浪漫，7种语言说我爱你. IT之家. 2015-01-26. （原始内容存档于2016-07-04）. ^ Cortana Can Now Sync Notifications From Your Android Phone To Your Windows 10 PC - Thurrott.com. Thurrott.com. 2016-05-19 [2017-05-10]. （原始内容存档于2018-07-10） （美国英语）. ^ Kniskern, Kip. Microsoft Band: cross platform, yet Better Together with Windows Phone (and Cortana). Liveside.net. 2014-10-29 [2019-02-19]. （原始内容存档于2018-11-26）. ^ none, Ron. Say hello to Microsoft Band, a $199 fitness band that keeps you fit and lets you check emails and texts too. WinBeta. 2014-10-30 [2019-02-19]. （原始内容存档于2016-08-01）. ^ Burlacu, Alexandra. Microsoft Band fitness tracker with Cortana debuts alongside Microsoft Health service: Here's the deal (VIDEO). Mobile & Apps. 2014-10-30 [2019-02-19]. （原始内容存档于2019-02-04）. ^ Popa, Bogdan. New Cortana Features on Windows Phone: Flip a Coin and Roll Some Dice. Softpedia. 2014-10-06 [2019-02-19]. （原始内容存档于2019-02-03）. ^ Warren, Tom. Clippy replaces Cortana in Windows Phone 8.1 Easter egg. The Verge. 2014-04-15 [2014-06-16]. （原始内容存档于2014-06-27）. ^ Kessler, Derek. Cortana Easter Egg resurrects Clippy as your personal digital assistant. Windows Phone Central. 2014-04-15 [2014-06-16]. （原始内容存档于2014-06-09）. ^ 玄隐. WP8.1 Cortana微软小娜圣诞节主题萌萌的. IT之家. 2014-12-24. （原始内容存档于2016-01-03）. ^ Sabri, Sam. How to set up Quiet Hours and Inner Circles on Windows Phone 8.1. Windows Phone Central. 2014-04-15 [2014-06-16]. （原始内容存档于2014-06-18）. ^ Cortana's unbroken streak ends with Netherlands 3:0 win over Brazil. WMPoweruser.com. 2014-07-12 [2014-07-13]. （原始内容存档于2014-07-14）. ^ Backaitis, Virginia. Why Microsoft's Cortana is 14 for 14 Calling World Cup Matches. CMSWire.com. 2014-07-11 [2014-07-13]. （原始内容存档于2014-07-14）. ^ Akash KJ. Germany Will Beat Argentina to Win FIFA World Cup 2014 Final Predicts Cortana. International Business Times. 2014-07-10 [2014-07-13]. （原始内容存档于2014-07-10）. ^ Wint, Bradley. Cortana maintains winning streak, correctly predicting 14 games in a row. KontentPort.com. 2014-07-09 [2014-07-13]. ^ Manfred, Tony. The Microsoft Engine That Nailed The World Cup Is Predicting Every NFL Game – Here's Its Pick for the Super Bowl,. Business Insider. 2015-01-28 [2019-02-19]. （原始内容存档于2015-02-03）. ^ Curdie, Lewis. Super Bowl winner correctly predicted by Windows Phone Cortana. Mobot. 2015-02-02 [2015-02-03]. （原始内容存档于2015-02-03）. ^ Allison, Michael. Bing now predicts ICC Cricket World cup. WMPowerUser. 2015-02-08 [2019-02-19]. （原始内容存档于2015-07-10）. ^ Lee, Tyler. Cortana Will Enable Itself Automatically, No Action Required. Ubergizmo. 2014-07-21 [2019-02-19]. （原始内容存档于2018-12-09）. ^ Ali, Fahad. CORTANA CAN NOW ROLL SOME DICE, FLIP A COIN. Eye on Windows. 2014-10-06 [2019-02-19]. （原始内容存档于2017-01-04）. ^ Tofel, Kevin C. Lumia Denim update arrives, bringing Cortana and better pictures. Gigaom. 2014-12-18 [2019-02-19]. （原始内容存档于2018-12-09）. ^ kbridge. Cortana design guidelines - Cortana UWP design and development. docs.microsoft.com. [2017-05-04]. （原始内容存档于2017-09-07） （美国英语）. ^ TechWeb. 微软Cortana惊人漏洞 可绕过密码下载恶意程序. TechWeb. 2018-03-08. （原始内容存档于2018-03-08）. ^ Microsoft locks down Cortana: Blocks integration with other browsers, search engines. [2019-02-19]. （原始内容存档于2017-01-29）. ^ Lee, Nicole. Chatting with Skype bots feels like talking to a search engine.. Engadget (AOL). 2016-03-30 [2019-02-19]. （原始内容存档于2019-02-07）. ^ 晨风. 要隐私还是便利？Win10一周年更新版Cortana让你权衡. IT之家. 2016-04-29. （原始内容存档于2016-10-01）. ^ Brad Chacos. How to disable Cortana in Windows 10. Pcworld.com. 2015-07-30 [2016-04-04]. （原始内容存档于2017-01-01）. ^ 微软Cortana在最新IQ测试中落后于Alexa Siri和Google智能助理. cnBeta. 2018-07-30. （原始内容存档于2018-07-31）. ^ 81.0 81.1 xchtl. 你好！小娜：Cortana入乡随俗圈圈变面团. PCBeta. 2014-07-30. （原始内容存档于2014-08-02）. ^ Kleiman, Jacob. Windows Phone Cortana Mobile Assistant Detailed in New Leak. TechnoBuffalo. 2014-03-03 [2014-06-16]. （原始内容存档于2014-06-10）. ^ 陳瑞霖. 微軟 VP：對不起 Cortana 一直不能說臺灣中文，將會努力. TechNews 科技新報. 2016-12-22 [2019-03-07] （中文（台灣）‎）. ^ 楊又肇. Cortana尚未登台原因 微軟：參考數據仍不足. 聯合新聞網. 聯合報. 2016-06-01 [2016-12-21]. （原始内容存档于2016-12-22）. ^ Cortana's regions and languages. Microsoft. [2016-10-08]. （原始内容存档于2016-10-11）. ^ ¿Qué es Cortana?- Microsoft Support. support.microsoft.com. [2017-05-04]. （原始内容存档于2017-05-02） （西班牙语）.